Water connects, dissolves, cools, transports, absorbs and enlivens. Water is the means of transport that transfers all the essential nutrients to our cells. Water is the thermostat that regulates our body temperature. Oxygizer mostly oxygenises tissues because, besides respiration, oxygen is channelled directly by water and absorbed in the stomach and intestine. All the physical aspects benefit: more oxygen in the blood, muscles, skin and all the organs. 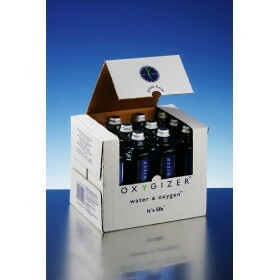 OXYGIZER improves performance in situations of maximum stress and improves the subsequent regeneration phase. Prof. WOLFGANG MARKTL (Scientific Director of the Institute of Medical Physiology of the University of Vienna) and his research team have complete scientific exercise tests. In this context, they were able to demonstrate the effective influence and the effects of Oxygizer on physical endurance, in the form of casual double simulation. By and large, every cell of the human body is capable of absorbing oxygen. Renowned scientists and doctors are of the opinion that OXYGIZER© is transported to the cells via the stomach mucous and digestive tract. PHYSIOLOGICAL CALOFIC VALUE: O Kcal. (OKJ). OXYGIZER is the ideal drink to refresh and revitalise the body and organism. 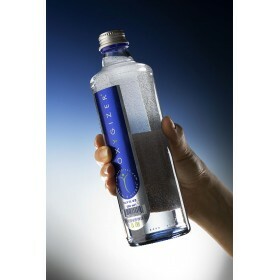 OXYGIZER mixes oxygen and pure mineral water, the most precious elements in nature, in a crystalline unit. OXYGIZER has no side-effects and can be taken during meals, before training, during or after physical effort and every time you are thirsty!